Janto Cargo Trailers is a dealer of several cargo trailer brands, all manufactured in South Georgia. We offer both basic and advanced lines of cargo trailers and each line offers specific features and options that we know are required in building a quality trailer. 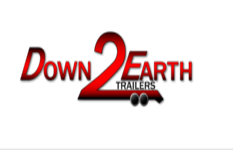 Our built to order trailers are available for pickup directly from the factory in South Georgia and are considered some of the best in the industry for their features and value.